Brightwater hold the agency for Saxlund sliding frame silos in New Zealand and Australia. We are able to design, supply and install the silos to meet local conditions and a wide range of storage materials. 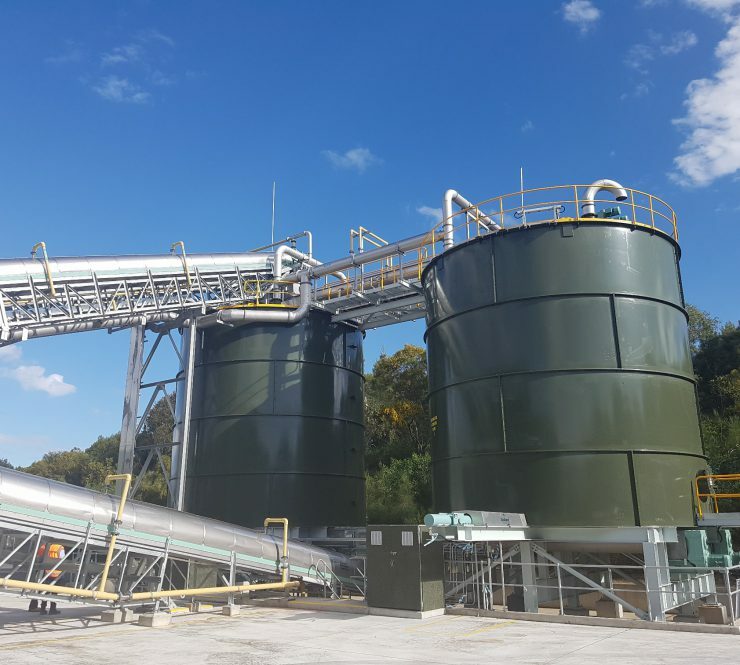 Sliding Frame Silos are designed to function with non-free flowing and difficult materials such as de-watered sludge cakes and biomass materials. 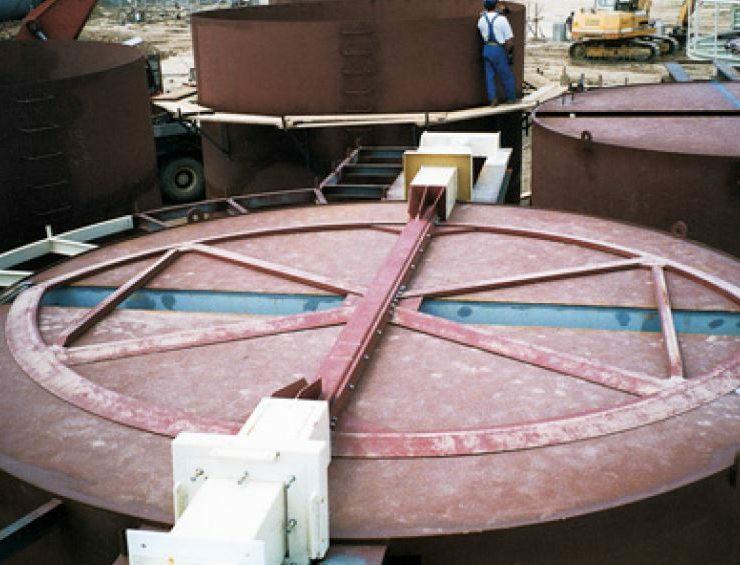 The flat silo floor concept gives many advantages such as the maximum possible sized discharge openings. The sliding frame discharger creates ‘mass flow’ within the silo even with these difficult materials. The client can be sure of achieving accurate discharge and metering of the stored material on demand no matter what the application. The Sliding Frame is driven by a hydraulic system that makes the frame reciprocate slowly across the silo flat floor. As it does so, it digs the material from storage and at the same time delivers it into a screw or screws situated beneath the silo floor. The screw or screws are thus maintained completely full and are therefore able to meter the material at the desired rate into the process. The original Saxlund International Sliding Frame discharge machine is built in diameters from 2.5m up to 12m and with silo capacities from 5m³ up to 2,500m³.